Following your eyelash extensions session, we provide important information on how to best assist you with looking after and maintaining your new set of lashes. 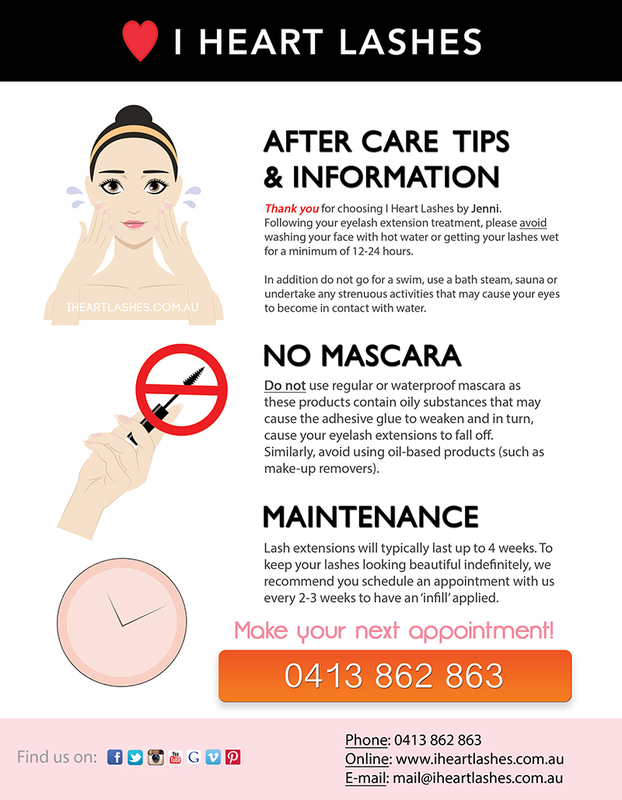 It is strongly recommended our clients have a basic understanding and follow these after-care principals so that the lashes last longer, remain healthy and continually look gorgeous! We hope this information flyer will benefit our new and existing clients 🙂 However feel free to share this with your friends and family.